With its chief executive on special leave for an undisclosed period Armscor, the state-owned defence and security acquisition agency, is currently in the hands of Solomzi Mbada, member of the Armscor executive responsible for corporate support. While not entirely convinced it’s advisable to leave management of an important entity such as Armscor in the hands of an acting chief executive, Democratic Alliance (DA) MP Kobus Marais maintains the apparent involvement of Kevin Wakeford in state capture is “concerning”. His portfolio of shadow defence and military veterans minister tasks him with keeping a weather eye on the wider defence sector and not only the national defence force. “I have had concerns about Armscor for some time and questions have been given only vague responses,” Marais said. 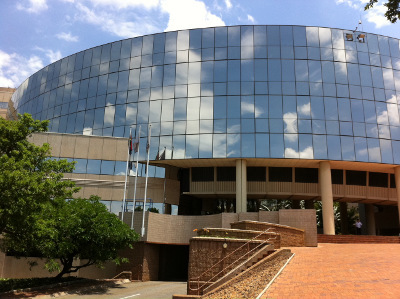 He is of the opinion Armscor has not “really delivered on its core responsibility” and that remuneration of “especially senior management has escalated at an alarming rate”. “The defence industry needs dedicated experts and if allegations made to the Zondo Commission are found to be true, Wakeford has let South Africa’s citizens and taxpayers down. “If he has not resigned, as some rumours have it, the Minister (Nosiviwe Mapisa-Nqakula) must dismiss him immediately,” Marais said adding South Africa needs “a vibrant, forceful, vigilant and strong defence force with all the associated defence capabilities to protect the country’s sovereignty”. He wants to see a reprioritisation and rebuilding of the national defence force so that it is a force to be reckoned with regionally and a strategic partner of the free world. At the time he was granted special leave to prepare for an appearance before the Commission of Enquiry into State Capture, Wakeford issued a statement distancing himself from any wrongdoing. He also said he would not be communicating with the media until he had appeared before the Commission.